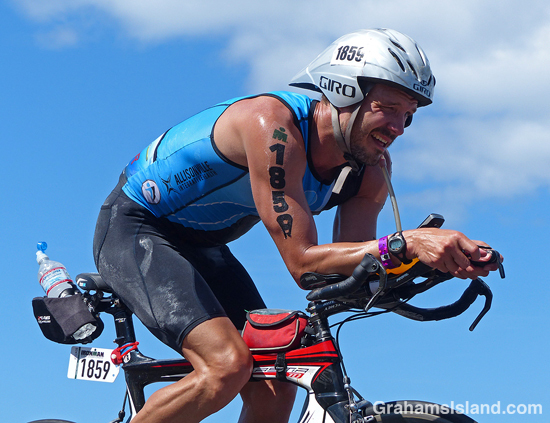 Yesterday was the Ironman World Championship race on the island. 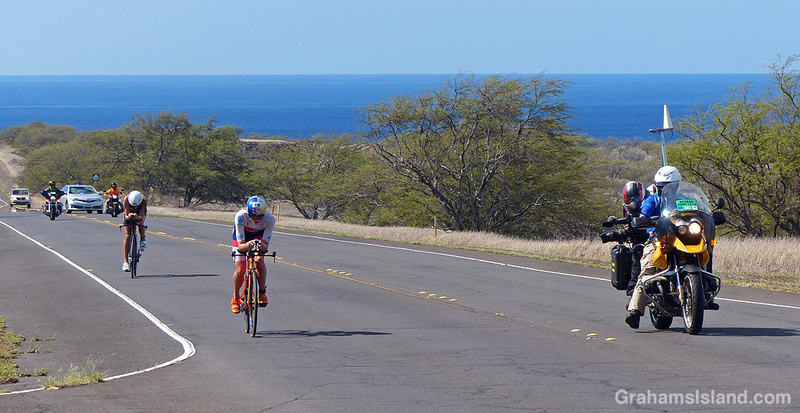 The race, comprising of a 2 mile swim, a 110 mile bike ride, and a running marathon, starts and ends in Kailua Kona. 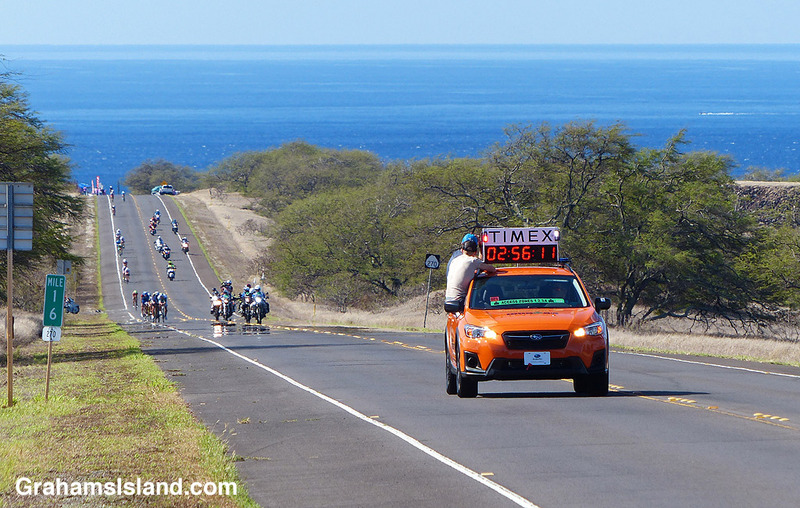 I usually check in with the race in the vicinity of the bike leg turnaround at Hawi. Top: The race leaders head up the hill toward the turnaround, accompanied by support vehicles, race marshals, and cameramen. Above: Lionel Sanders of Canada led the race at this point, but lost the lead before he got back to this spot on the return journey. However, he retook the lead later and only lost it a couple of miles from the marathon finish, to Patrick Lange of Germany. Right above: Pumping the pedals is hard work, but can be colorful. 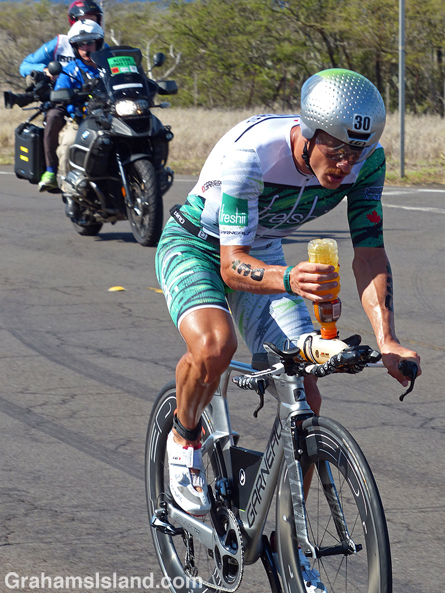 Right below: Bentley Walker of the United States digs deep approaching the turnaround at Hawi. 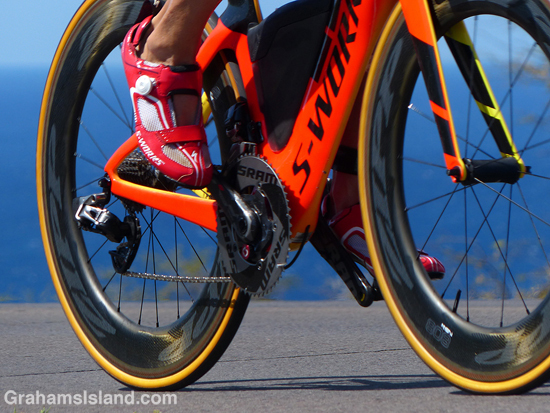 Bottom: Like Sanders, Lucy Charles of Great Britain led the women’s race heading toward Hawi, but she, too, ultimately finished second, behind Daniela Ryf of Switzerland. Charles and Lauren Brandon of the United States were well clear of the rest of the women’s field at this point.